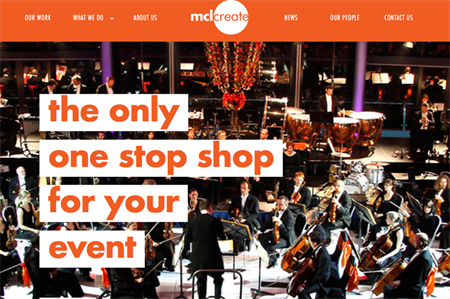 Events agency Mclcreate has recorded a 68% drop in profit for 2014 from the previous year, as a result of heavy investment throughout the period. According to accounts filed on Companies House, Mclcreate recorded a profit before tax of £173,000 for the financial year ending 30 September 2014, a fall from £557,000 in 2013. This was despite a rise in turnover to £14.4m in 2014 - £13m of which is UK sales - up from £13.9m in 2013. The company rebranded in January 2014, changing its name from Media Control (Europe) to Mclcreate and transitioning from an A/V specialist to a full services provider. It also launched a new delegate and event management division in January 2015. Tim Spencer, Mclcreate's managing director, said: "As part of our continuing development we have invested heavily in our future during this period. We have launched several new innovative technical products, invested in our in-house inventory and recruited an additional 16 members of staff – and there is more to come. "With the agreement of Avesco we are continuing to invest in this financial period, adding new services and offers as we uniquely meet the changing demands of our industry."